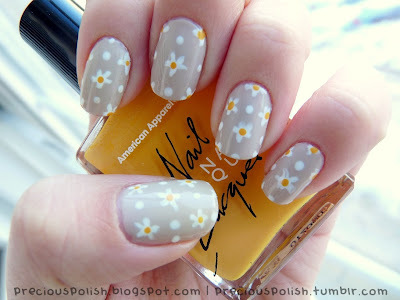 I used Essie Sand Tropez to start with a white striping polish and American Apparel Manila for the flowers and dots. Hope you all had a lovely start to your week and to my fellow Canadians, a wonderful long weekend! So simple but super-cute. I really love this design and the colours that you have used. I have just started doing nail art and have featured it a couple of times on my blog. I would love it if you would take a look.